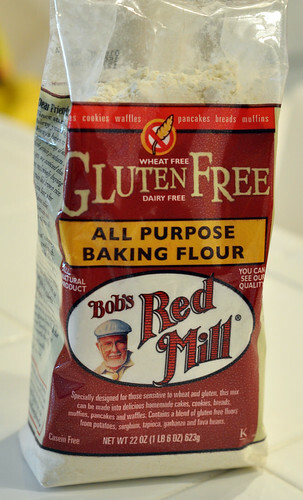 When Hanna and I went shopping at a nearby Henry's we discovered a whole world of gluten free mixes and products. As I scanned all of the different flours we would need for these two recipes like garbanzo bean flour, white rice flour, tapicoa flour, and sorghum flour I did the math in my head. It would cost about $50 just for the ingredients! The Xanthan gum alone cost about $13. If Hanna had to stay gluten free forever then I would have recommended she buy all of it. But, considering that she's not an avid baker like myself and she can once again join the rest of us carb-enthusiasts in another month, I recommended she just get the gluten-free flour. 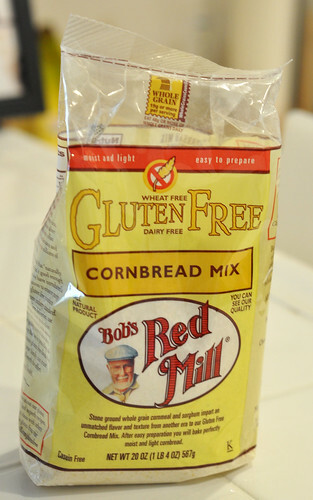 And instead of making the cornbread from scratch I thought we should try the mix that Bob's Red Mill so ingeniously thought of already. We came back to her place and started on the tea cake. 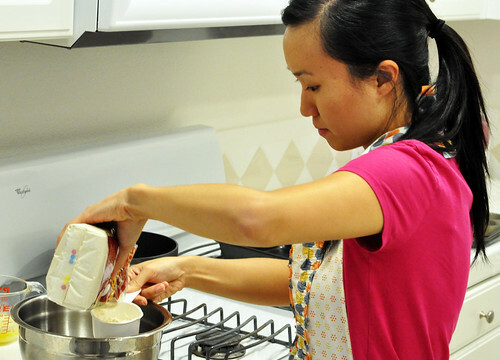 The original recipe called for garbanzo bean flour. It was my idea to use the all purpose gluten-free flour so that she could use the rest of it in other baking. 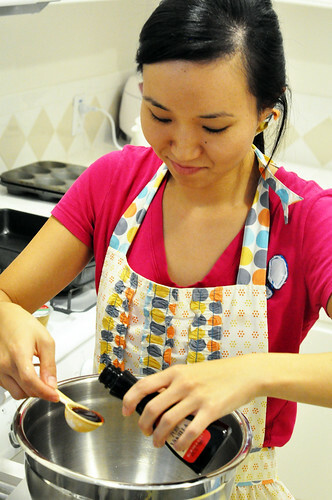 We also used corn oil instead of coconut oil and regular sugar instead of the evaporated cane juice. We followed the instructions.. almost to the T. We mixed and baked. ... the center was a gelatinous block. It tasted fine but it looked more like what Koreans call dduk. A sweet rice snack/dessert that's made by smashing rice together. 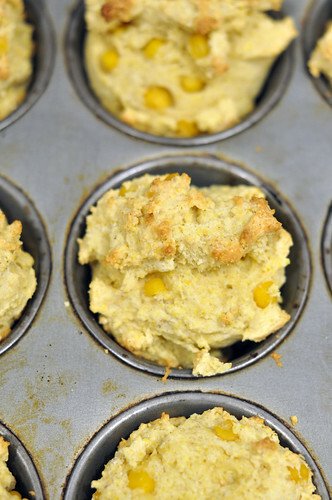 The second attempt was the cornbread. Just add milk, eggs, and butter to the mix and that was it! 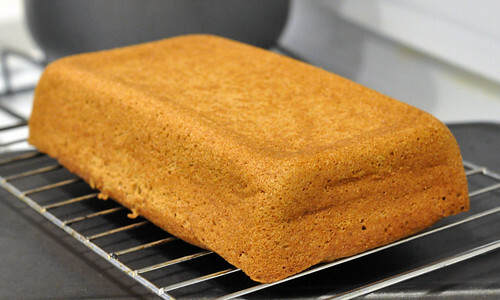 It said to mix with an electric mixer for about 30 seconds but we didn't have one handy and the mixture was already super thick. Hanna had a great idea to add some corn and thank goodness we did. You know it's a bad sign when you look inside the oven and even after about half way through the baking and the batter has not moved at all. It was as dry as a rock. This was a complete mystery to me. There were no substitutions. Straight forward. I felt so bad! My friends look to me to be the "expert" in all things baking and when something turns out really bad like this.. I feel like a failure. Maybe I'll do some more research next time. 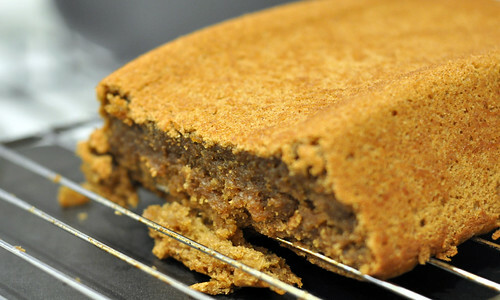 But for now... gluten-free baking and all of its different flours and strange ingredients will remain a mystery to me. Who knows when I'll be brave enough to venture out into that rocky terrain again. don't feel bad. gluten-free cooking in general is really difficult. did i tell you my disaster when trying to make esther bang's shrimp tacos gluten-free? absolute disaster. Whhhaat? How do you make tacos gluten free?? Crazy! We must swap stories... although.. you've just heard mine. Haha I'm sure I'll have more. 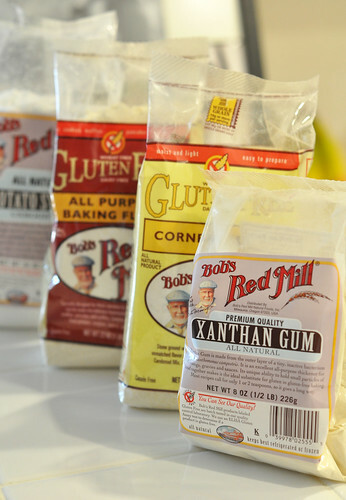 I have all this xanthan gum I have no idea what to do with. it was super fun making it! AND i got my space in NadsBakery.com!! Gluten free baking seems to be a very difficult thing.... I don't know much about it. when do I get to bake with Nads?